The ACE, Schools and EC teams worked together to share the costs of hosting Jerome Kavanagh, Taonga Puoro musician of Tuwharetoa to a series of culture in education professional development workshops across the sectors which supported the Ministry of Education’s Te Whāriki and Ka Hikitia strategies. 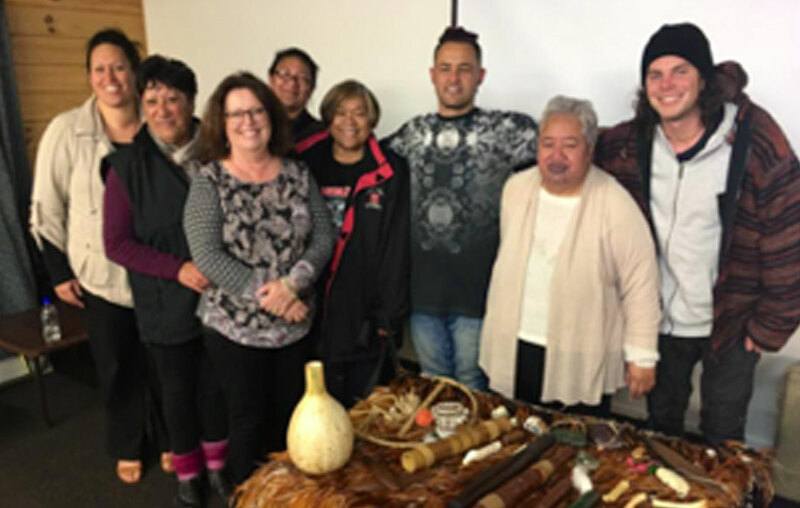 Kim Roots held a workshop for Early Childhood educators: Waka Māori – A practical workshop supporting Te Whāriki and the links to Kaupapa and Te Reo Māori. 13 attended including educators from Kiwi Steps, Plunket and Paua. Joce Moyle organised Jerome to take a Mo te Haka (Build your Own Haka) for ADDI and in the afternoon a group of 10 primary teachers enjoyed an afternoon of Waka Māori with a snippet of sound healing included. These events all coincided with Māori Language Week. There was a lot of media interest in what we were doing! The Taupo Times sent a reporter to cover our ACE evening workshop and ran an article. They also published an article on Stuff.